This package comes with a YETI Tundra 125 and the Rambler X2. Plus, you get a Rambler 30 oz. 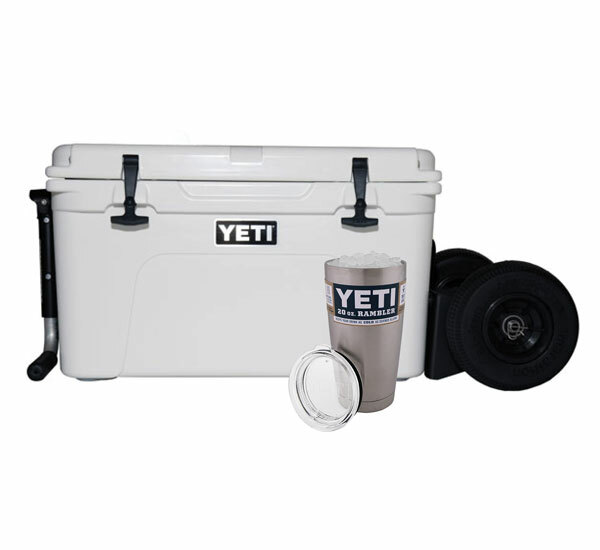 tumbler and a YETI trucker hat for FREE. 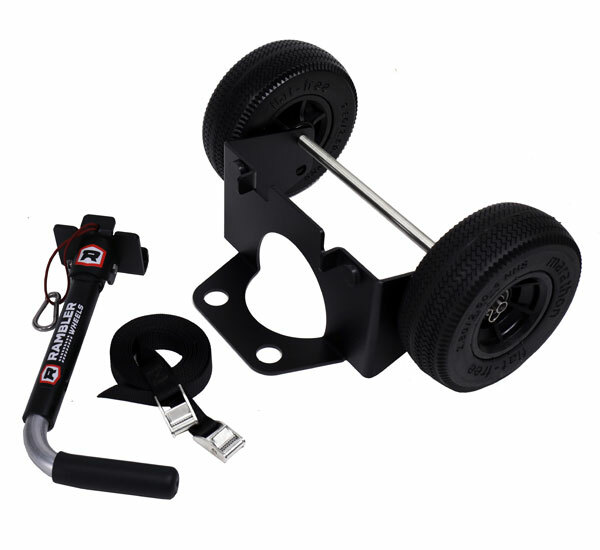 This package adds wheels to your YETI! 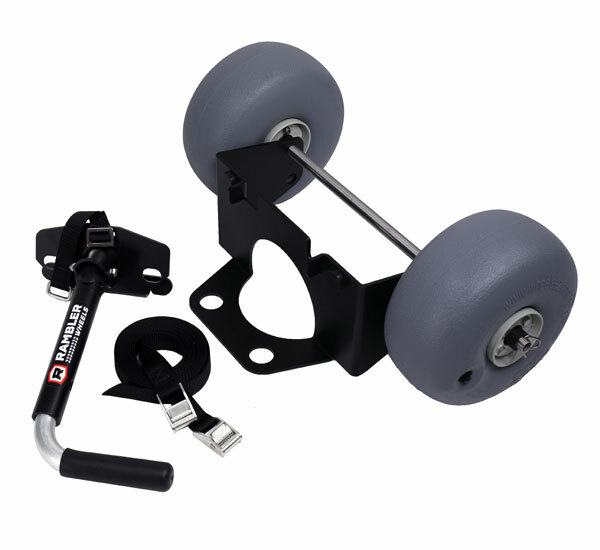 It combines the YETI Tundra 125 with Rambler X2 wheels. 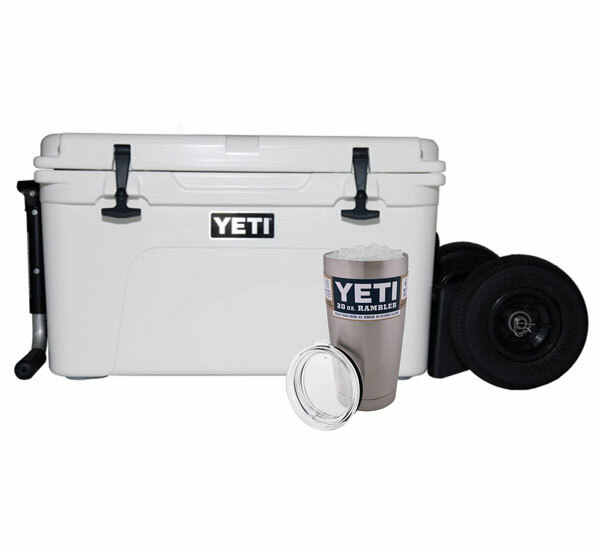 Plus, you get a YETI Rambler 30 oz. 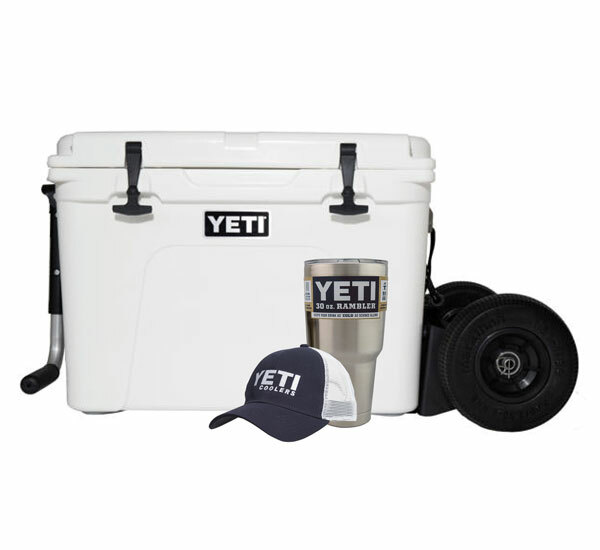 tumbler and YETI Trucker hat for FREE. 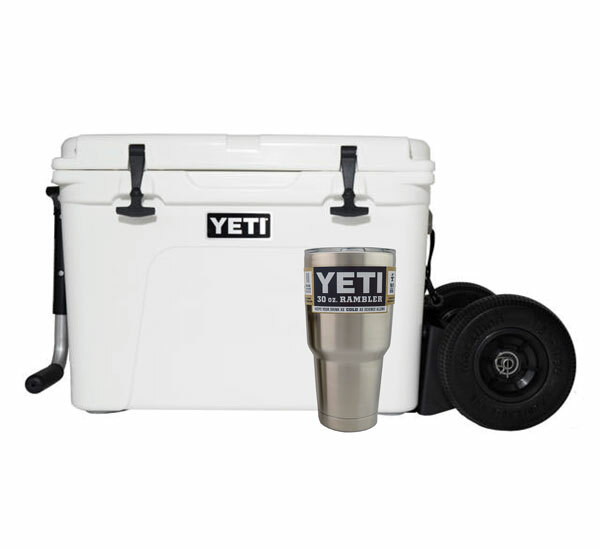 The YETI 125 is a great all around cooler size. 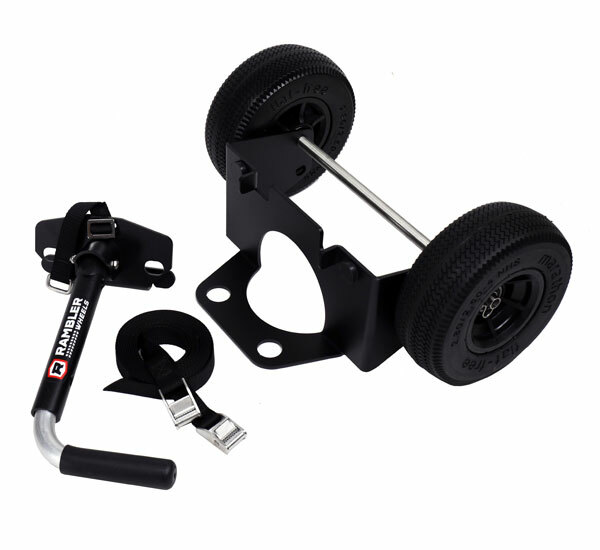 Not too big, not too small. 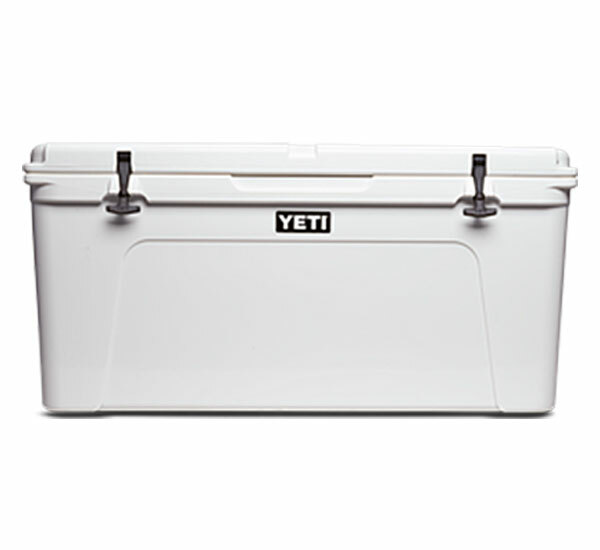 The 125 holds 81 cans (w/ the 2:1 ice to contents ratio) or 129 pounds of ice. The Rambler 30oz. 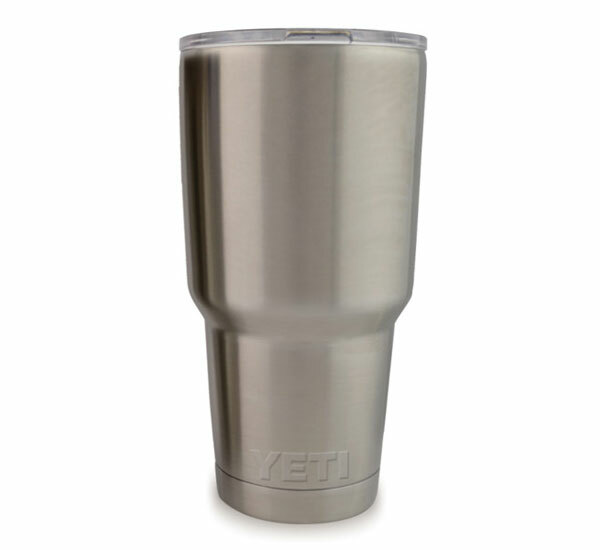 keeps your beverage as cold as science allows. The YETI Trucker hat, the hat that made YETI famous.